MongoDB is a database, the part of the application responsible for storing and retrieving information. MongoDB is a NoSQL database. Under the NoSQL umbrella we put all those databases that do not use the SQL language for querying the data. It’s schemaless, which means you don’t need to pre-define a structure for the data before storing it. In MongoDB you can store any object without having to worry about the particular fields that compose this object and how to store them. 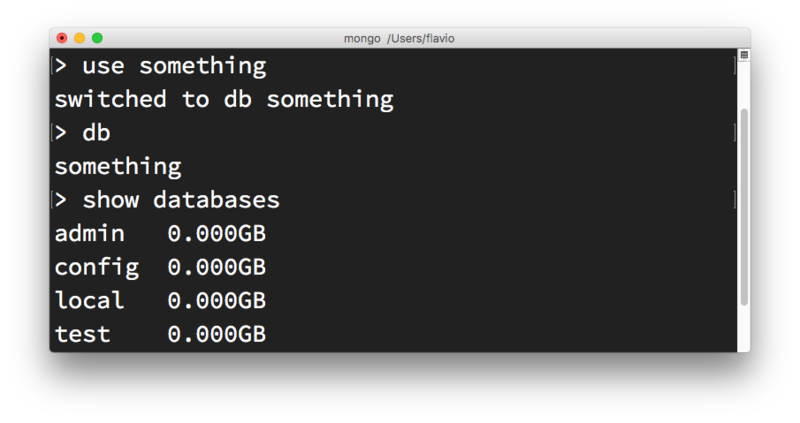 You tell MongoDB to store that object. Data is stored in a format similar to JSON, but enhanced to allow storing more than just basic data types. Let’s go ahead and install MongoDB. You could use one of the many cloud providers that offer access to a MongoDB instance, but for the sake of learning, we’ll install it ourselves. I use a Mac, so the installation instructions in this tutorial refer to that operating system. The instructions were not too long or complicated, assuming you know how to use the terminal and how to install Homebrew. You can choose to either launch MongoDB once and have it running forever as a background service in your computer (the thing I prefer), or you can run it just when you need it, by running the latter command. Logs are stored in /usr/local/var/log/mongodb/mongo.log and the database is stored in /usr/local/var/mongodb. By default there is no access control, anyone can read and write to the database. 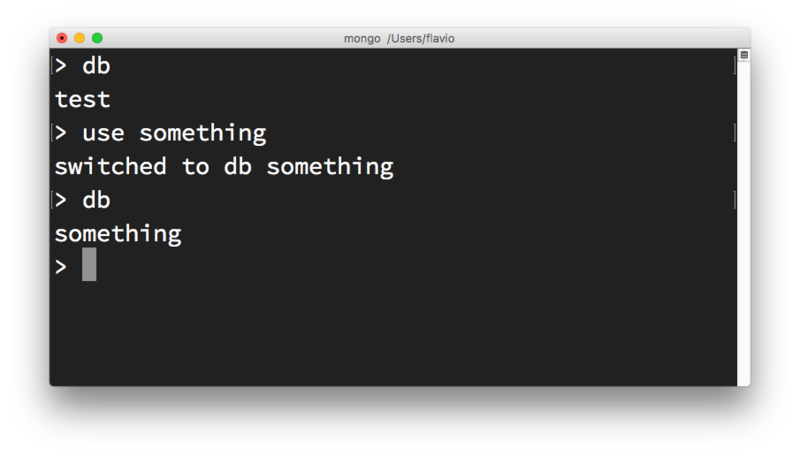 The best way to experiment with MongoDB and starting to interact with it is by running the mongo program, which starts the MongoDB shell. 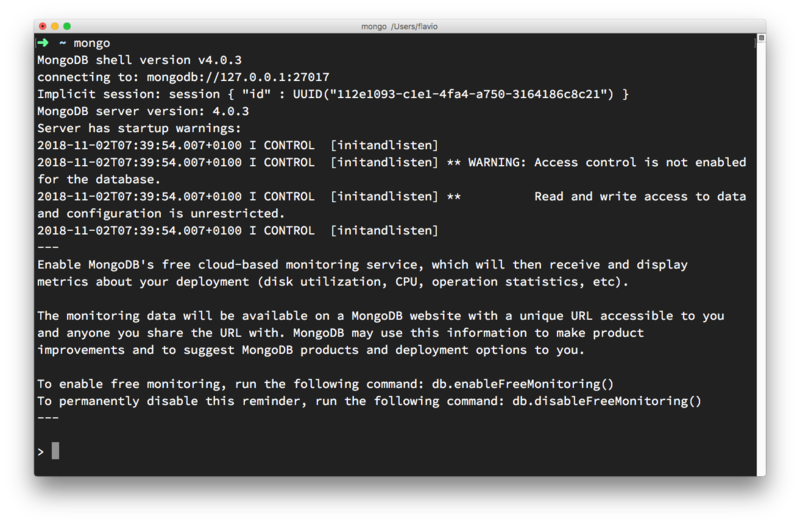 You can now enter any command that Mongo understands. To change the database, just write use newname and the newname database will be instantly created and the shell switches to using that. As you can see, the something database is not listed, just because there is no collection yet in it. Let’s create one. 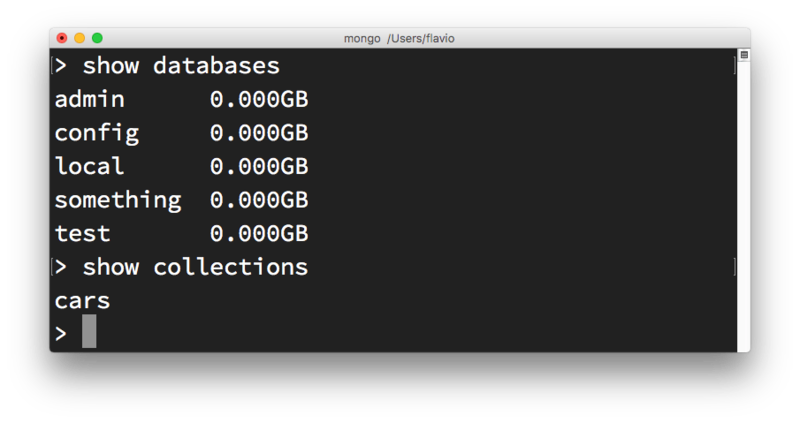 In MongoDB, a collection is the equivalent of a SQL database table. 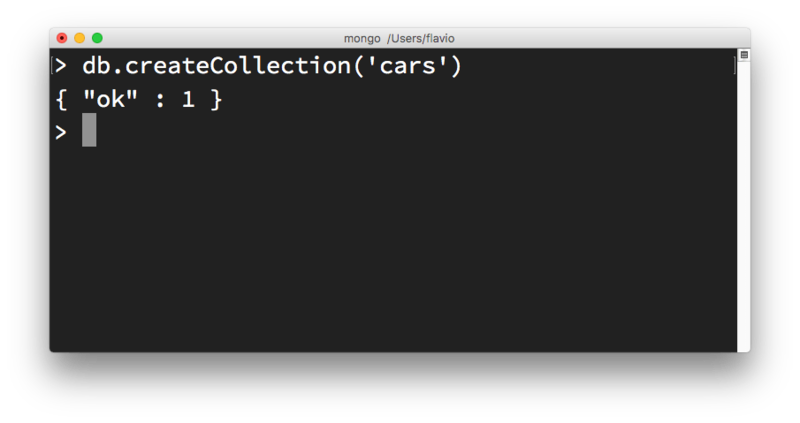 You create a collection on the current database by using the db.createCollection() command. The first argument is the database name, and you can pass an options object as a second parameter. Once you do so, show databases will list the new database, and show collections will list the collection. As you can see there is an additional _id property for the record we added. That’s automatically generated for us by MongoDB. The find() method returns a cursor you need to iterate on. There is another method which is handy when you know you’ll only get one record, which is findOne(), and it’s used in the same way. If multiple records match a query, it will just return the first one.